To what lengths am I willing to go, to show my trust? Am I willing to give up anything and everything? Especially if I trust in the Lord? For him, will I give up even my life? The Levite Barnabas, a Cypriot, was willing—even eager!—to give it all up. His trust stands in contrast to Nicodemus, who doubted. We know he had this great trust because he took a portion of his property, sold it, and gave the money to the Apostles. He gave to help the entire group of new Christians, and spread the word of God. Now pause and change gears with me for a moment. When Jesus speaks of trust, He talks a lot about children. Children who trust their parents to catch them if they fall, to teach them to ride a bike, to be there when they wake from a bad dream. Jesus says our trust should be like the trust of a child. Is it? I imagine that Barnabas’ trust was like a child’s. He trusted in the Father to continue to take care of him, even after selling a portion of his property. I want to be like Barnabas. Yet, I’m more often like Nicodemus. Is it that I am afraid or unwilling to trust? Is it that I don’t allow myself to be like a child and trust in my God, even and especially when I can’t see past today? I sigh to myself and wish I trusted more. Jesus tells us that with belief, comes eternal life. The Psalmist declares that the Lord’s decrees are worth of trust. What is holding me back, then? Lord, soften my heart. Increase my trust. Let me be like Barnabas, who trusted in your promise. Am I willing to give up anything and everything? For him, will I give up even my life? Think about how Barnabas gave something up, as a display of his trust in our Lord. What can we give up? 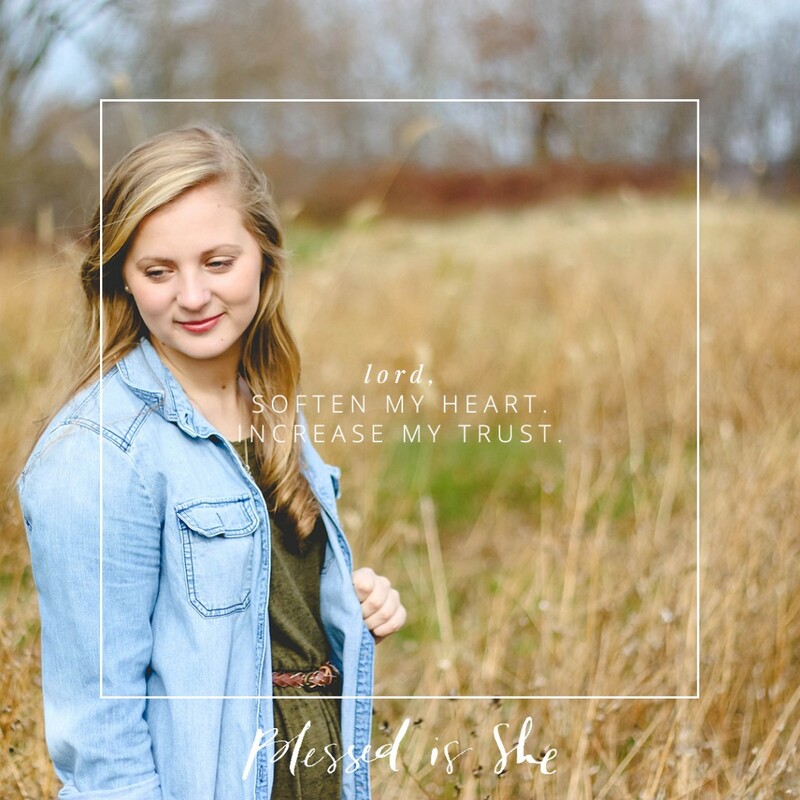 What can we give back to Christ, placing our trust in Him with all we have and are?